Denmark is full of surprises, for example all of it's parks. Denmark is a country full of surprises, especially due to its range of spectacular theme parks, which include Tivoli Gardens and Dyrehavsbakken. 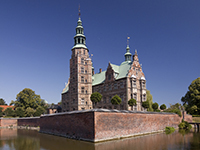 Otherwise, Denmark possesses stunning architecture in the form of Rosenborg Castle, Ny Carlsberg Glyptotek and The Old Town. Around 150,000 British nationals visit Denmark each year, which can be accessed from the United Kingdom by airplane or slightly more substantial journeys by either ferry or car. Flights from Manchester to Copenhagen can take less than two hours, if you find the right airline, but average times travel times are around four hours, depending on the length of your stops. Denmark can be ventured to by ferry, as well, with travel from Hull to Copenhagen taking ever just so slightly over a day. This trip can also be achieved by car at a travel time of around 18 hours. If you are driving to Denmark, and you are susceptible to hypoglycemia, frequent blood tests should be taken to ensure your blood sugar is at a safe level to drive. If you are unsure as to how to adapt your diabetes management while travelling to Denmark then you should discuss a plan with your diabetic specialist. The time difference in Denmark is one hour ahead of British Summer Time and two hours ahead of Greenwich Mean Time. The average climate of Denmark is ever so slightly colder than that of the United Kingdom, with cold winters and summer temperatures of around 16°C. Generally, there will no need for travellers with diabetes to alter their medication doses due to the Danish climate. The Danish Krone is the currency of Denmark. Money can be easily collected from ATMs, while most major credit and debit cards are accepted at shops, hotels and restaurants. There are no mandatory vaccinations required to enter Denmark, however rabies is present in bats in Denmark, so it is advised for those planning activities in remote areas that put them at risk for bat bites to receive a rabies vaccine. Denmark is amongst the European countries that allow you to receive state healthcare either at a reduced cost or sometimes for free. It will cover you for medical treatment until you return to the UK. Medication is available in Denmark, but payment is required from a pharmacy, for which the Norwegian translation is ‘Apotek’. However, possessing an EHIC card allows you to receive treatment at a lesser cost and this money can be recouped when you get back into the UK. The vast majority of pharmacies in Denmark are open 0930-1730 on weekdays and 0930-1400 on Saturdays. There are also 24-hour pharmacies where medicine can be purchased outside of these hours. The emergency services number to be called in Denmark is 112. An ambulance is still translated as "ambulance" in Danish. Blood and urine testing kits are available from many pharmacies in Denmark, however, it is advisable to contact the manufacturing company of your medication prior to leaving the UK to find out what is available in Denmark if your medication gets lost, stolen or damaged. You should note which syringes are available in Denmark, with U-100 syringes the most commonly used.